The Quebec coroner who investigated the deaths of 47 people in the Lac-Mégantic, Que., train disaster last year says their deaths were "violent" and "avoidable." Coroner Martin Clavet's 47 reports revealed most who died had to be identified through DNA samples and dental records. 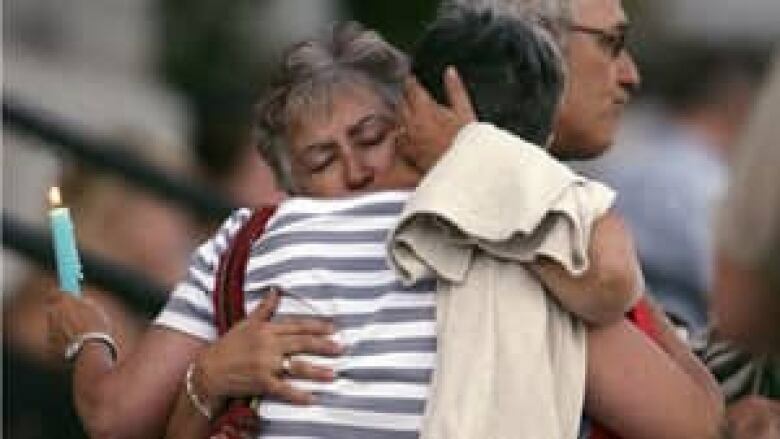 The Quebec coroner who investigated the deaths of 47 people in the Lac-Mégantic, Que., train disaster last year says their deaths were "violent" and "avoidable." Forty-seven coroner’s reports — one on each person who died — were released on Wednesday, closing an important chapter for the families and friends of those who died. The reports describe the circumstances of each person's death and the condition of each body. The victims of the July 2013 explosion were mostly identified by DNA samples and dental records. Each of the coroner's reports said, translated into English from French, "This is a violent death. This death was preventable, or avoidable." Quebec coroner Martin Clavet also published a series of recommendations. “It seems essential to me to make the following recommendations for a better protection of human life,” Clavet wrote. His recommendations mirror those of the Transportation Safety Board, which conducted an extensive investigation into the Montreal, Maine and Atlantic Railway derailment. 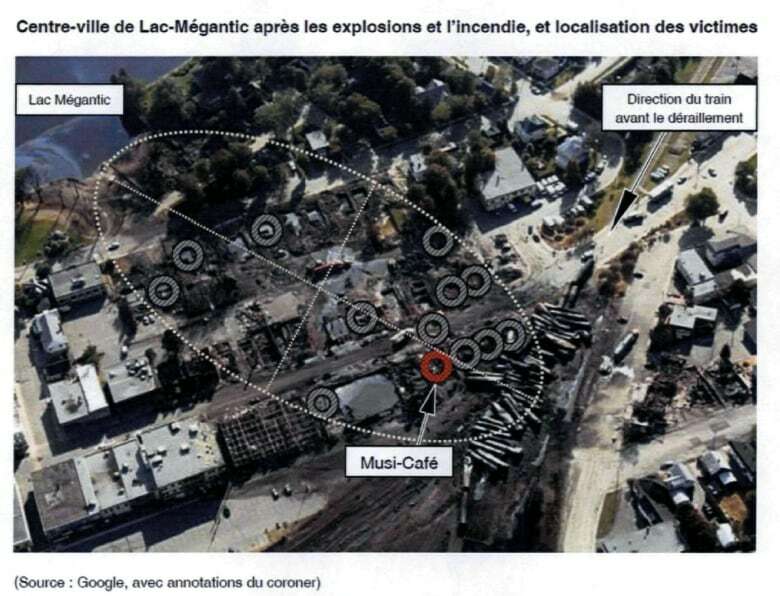 The train was carrying 72 cars of crude oil when it derailed and exploded in the heart of the tiny Quebec town of Lac-Mégantic. In his reports, Clavet said new rules approved by Transport Canada in December 2013 didn’t go far enough in instructing how many hand brakes needed to be applied for all rolling materials left unsupervised. His recommendations to Transport Canada include clear regulations about the number of hand brakes needed in accordance with the train’s weight, the material on board and the angle of the track, as well as a protocol to test the brakes before leaving the rolling vehicle. Clavet also made similar recommendations to the Quebec Transport Ministry. Below is the report of one victim, David Martin. He was one of the 27 people found in the rubble at popular bar Musi-Café. The coroner was not able to determine a single cause of death for Martin, or the other victims. However, Clavet said it was likely Martin died quickly.